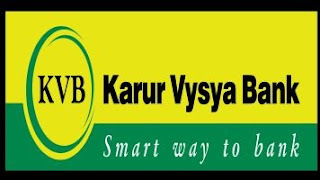 Karur Vysya Bank PO Recruitment 2017: Karur Vysya Bank PO Jobs 2017 2018 has announced on their recent recruitment for Probationary Officers (PO) Posts at www.kvbsmart.com. Now you can easily apply for this Karur Vysya Bank Limited Job Vacancies 2017 from their official website. Check the eligible details in the notification, if you are Eligible Candidates then you can Apply in Online from Official website www.kvbsmart.com. Want to more details such as Karur Vysya Bank Syllabus, Call Latter, Age Limit, Eligibility Criteria, Application Processes, Last Date Details? Find here complete details below. Applicant maximum age limit will be 28 Years (Candidate must have born after 31.05.1989). The Upper age limit is relaxed by 5 years for SC/ST; 3 years for OBC, 10 Years for Persons with Disabilities (15 years for SC/ST PWD’s & 13 years for OBC PWD’s) and for Ex-S as per Govt. of India rules. Candidates Relaxation in Upper Age limit will be provided as per Govt. Rules. Refer more details on their notification.